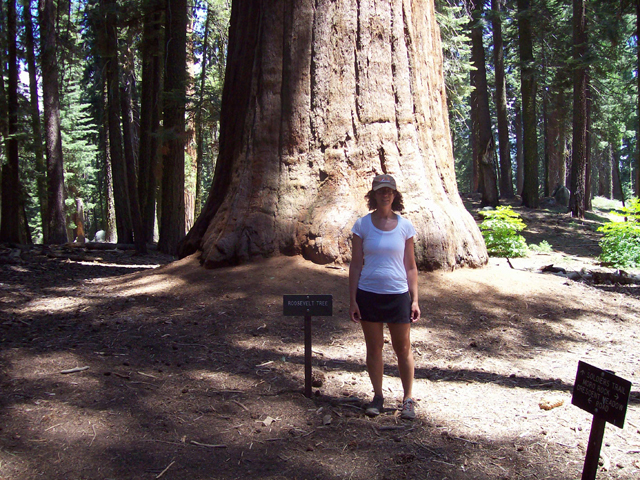 The final stage of our 2009 vacation was a stop in Sequoia. 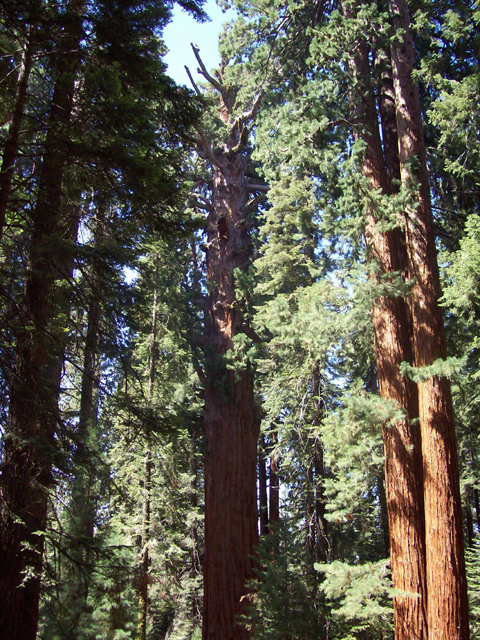 We camped one last night in Sequoia on the way home. 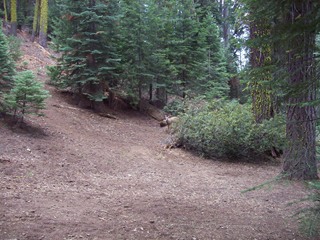 We picked the campground and the campsite almost by random while planning the trip and lucked out. When registering with the ranger, he informed us that, in his opinion, we had selected the best campsite in the entire campground. 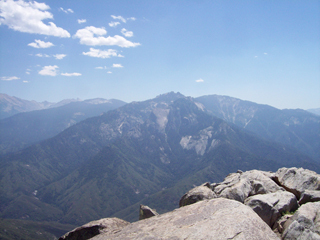 While we were skeptical, we found out that we agree with the ranger. 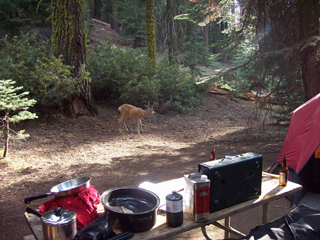 Only minutes after getting the camp set-up, several deer wondered right through the site. While we did not see any other wildlife, we heard a large animal later in the night while sitting by the campfire that was most likey a bear because it sounded like it was crunching through a log looking for insects, though we were never able to view the animal making the noise. 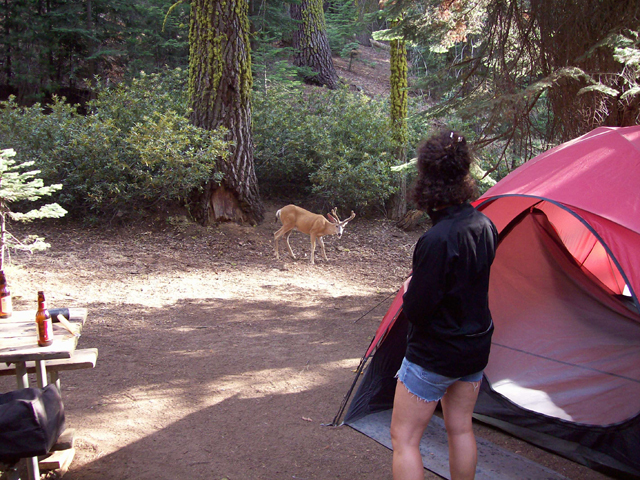 While sleeping, I also heard a number of lager animals walking past the campsite, but was unable to determine what kind of anmals they were. View of the mule deer buck that wandered by our camp. 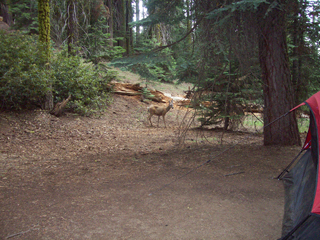 A wider view of the buck and the campsite to provide perspective. Anne, the camp, and the mule deer buck. 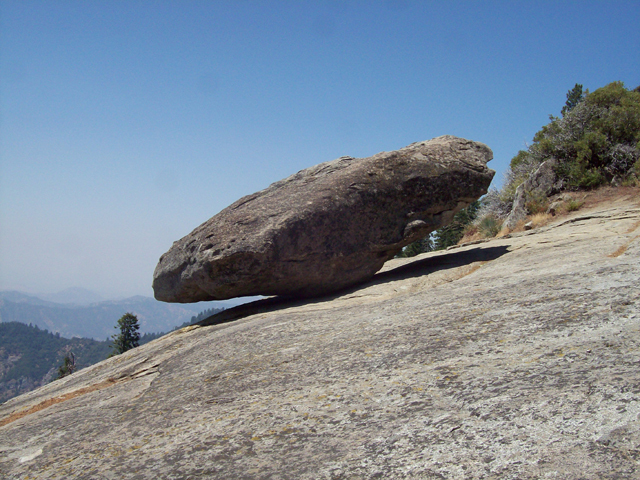 We must have been downwind of him. No more than half an hour later came a doe mule deer. 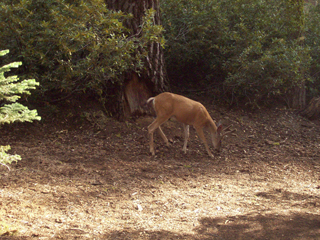 The doe walked down the same wildlife trail, but moved quicker before I was able to get a picture. 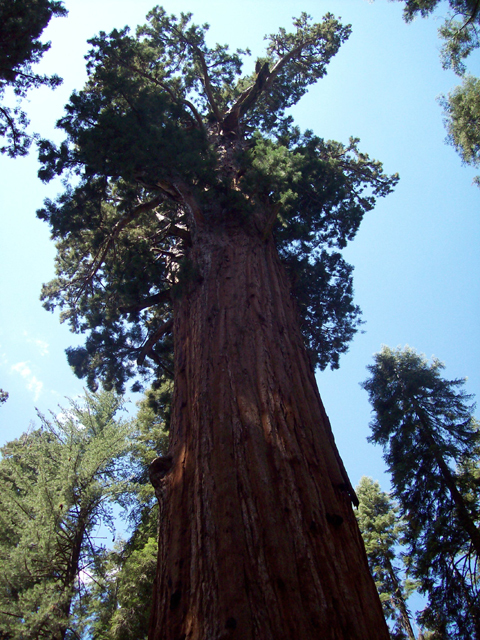 View of the General Sherman tree, the largest living thing on earth by volume. 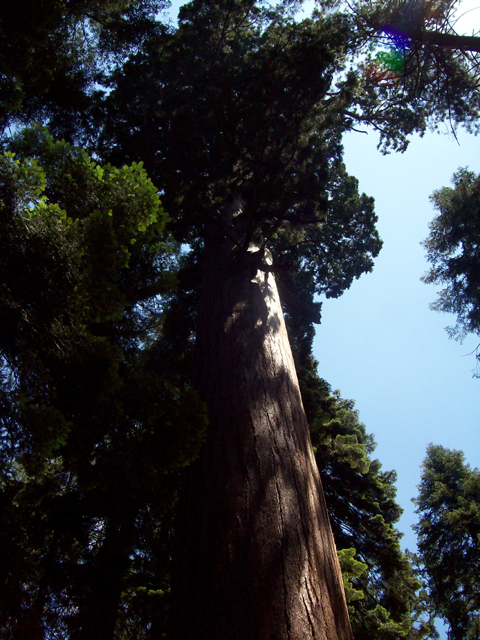 Looking up from the base of the General Sherman tree. 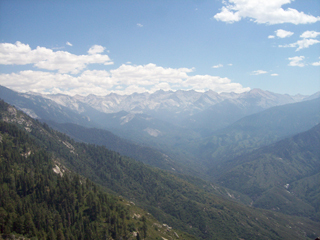 View of the valley looking southwest from Moro Rock. 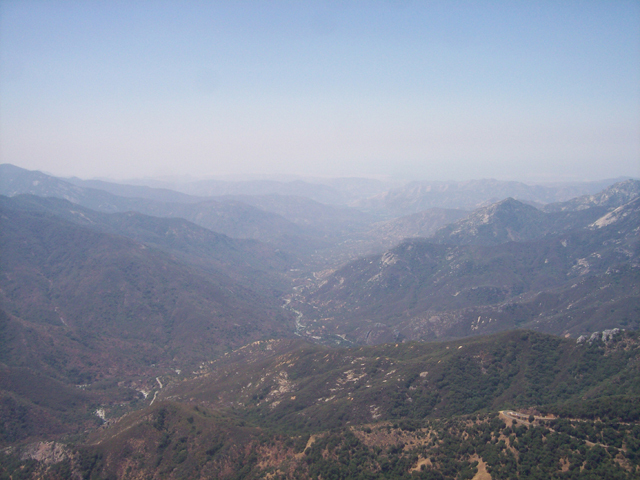 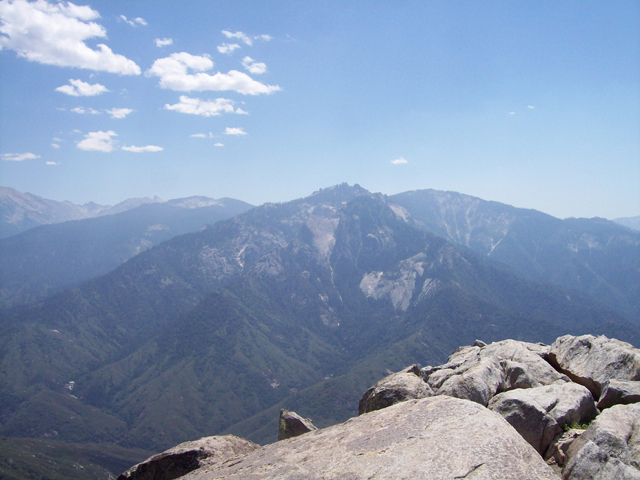 View of the mountains looking towards the south from atop Moro Rock. 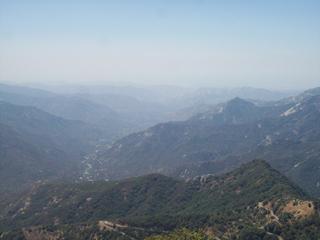 View of the valley and the mountains looking towards the east from Moro Rock. 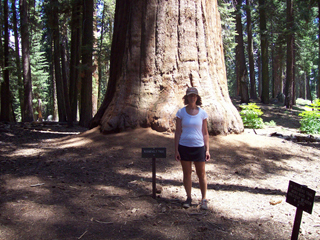 Anne at the base of the Roosevelt tree. View of the Roosevelt Tree looking up from near the base. 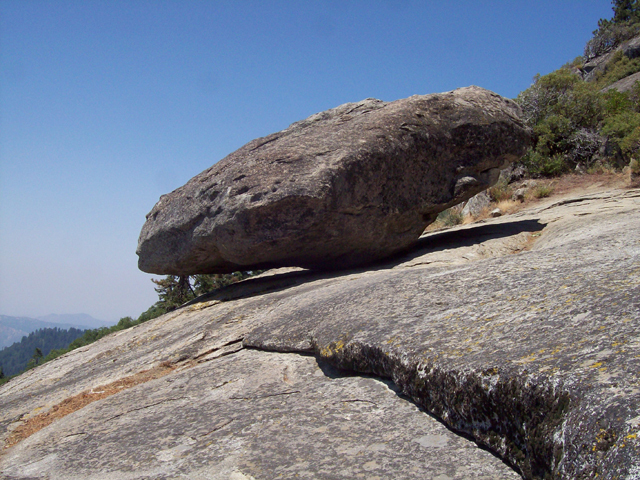 View of Leaning Rock as it continues to defy gravity. A closer view from a slightly different angle of Leaning Rock giving a better sense of the balancing act. 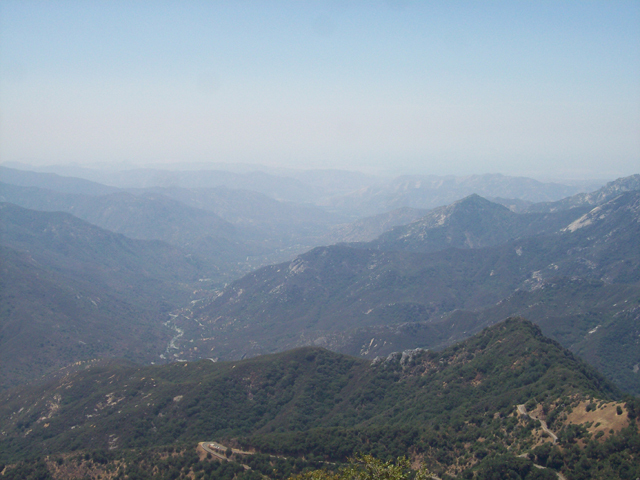 Another view of the valley towards the southwest, this time from Leaning Rock. 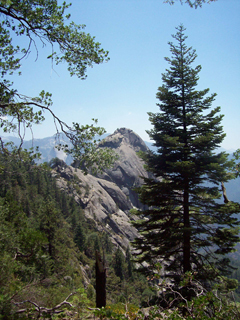 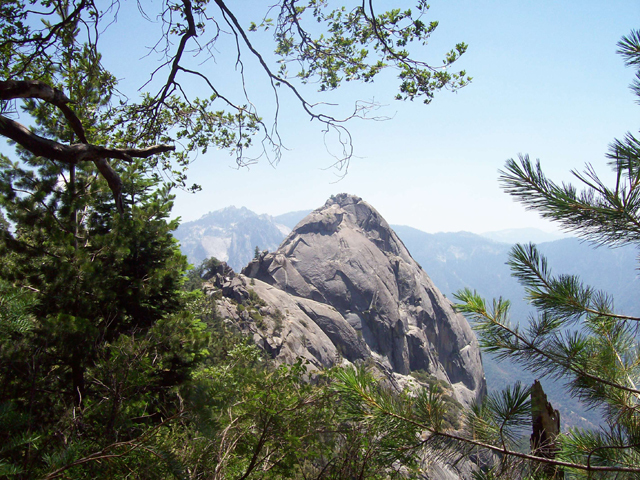 A framed view of Moro Rock from the Leaning Rock trail. Another view of Moro Rock.